Wedding, Danny; Corsini, Raymond J. 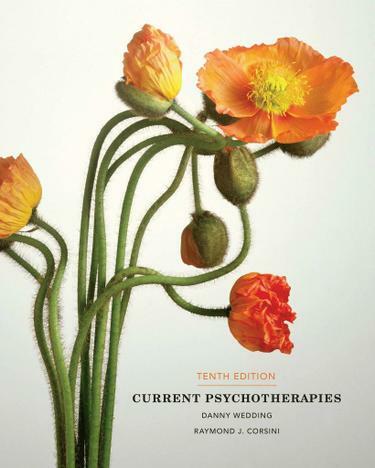 Used in top counseling, psychology, and social work programs and now in its tenth edition, CURRENT PSYCHOTHERAPIES helps readers learn, compare, and apply the major systems of psychotherapy in a way that will be meaningful in their own practices. Each contributor is either an originator or a leading proponent of one of the systems, and presents the basic principles of the system in a clear and straightforward manner, discussing it in the context of the other systems. Theory chapters include a case example that guides readers through the problem, evaluation, treatment, and follow-up process. CASE STUDIES IN PSYCHOTHERAPY, which accompanies the book, offers corresponding cases that demonstrate the basic techniques and methods of the theory being illustrated. Available with InfoTrac Student Collections http://gocengage.com/infotrac.